So, without much further ado, I present to you the 3 winners of the Blogiversary prizes!!! I'm lovin' both, but would have to pick FIRE because I could use those colors for my next quilting project! CONGRATULATIONS, ladies! Please email me at info@modkidboutique at your earliest convenience to claim your prize! Will Andalucia be produced in the "Aqua" colorway? Where can I purchase your ribbon? My Andalucia jacquard ribbons are produced and distributed by Caroline Devoy, of www.jcarolinecreative.com. You can contact her for any wholesale inquiries or if you're just looking to purchase a yard of this & that, you can find them in her store as well as at several other fabric retailers. Check the link list on my right sidebar >>>>> a lot of those retailers carry the ribbon as well the fabric! When will your patterns be ready for purchase? My sewing patterns are in the works right now. I will have 4 patterns available for my first run, with plans to develop at least 4 more for my 2nd run. These will be available for wholesale purchase by retail stores and distributors in the next few weeks. 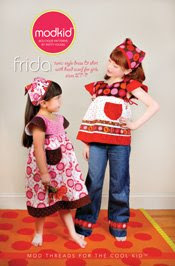 If you are a retail store or a distributor interested in carrying the MODKID line of sewing patterns, please email me at info@modkidboutique.com to be added to the database. An email will follow shortly with ordering information and pricing. I will also have these patterns available for purchase in my web store and at Quilt Market in May, 2009 (if not sooner). 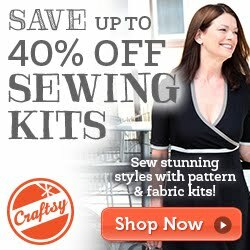 Will you allow sale of items produced with your sewing patterns? Having come from the children's boutique community myself, I am a great supporter of the "indie" or "cottage" industry. All of my sewing patterns will come with a legal line that reads: "Modkid LLC allows the right to use this pattern to create items sewn by the purchaser and only the purchaser for personal use or sale. Please direct inquiries for any other commercial use to info@modkidboutique.com. Any printed or electronic reproduction of this pattern in part or whole is strictly prohibited. " This pretty much means that YES, you can sell these items if you are an independent sewer, but if you intend to mass-produce these items, you need to contact me to work out a licensing agreement. Do you need any more pattern testers? I truly appreciate the overwhelming response that I've received regarding pattern testing. At the moment, I have all the testers I need for the patterns I am producing, but should I need more testers in the future I'll put out a request here on my blog and on Twitter. If anyone has any more questions or requests that I haven't addressed here, please leave them in the comments section below this blog post and I'll try to address them soon! Thanks again, everyone! Exciting times are ahead. I'll be showing you the front cover of Kyoko (which is on its way to the testers) this week, as well as a sneak peek of pattern #4. The reveal of Mezzanine will follow shortly after. Nice post, Patty. Congrats again on the new fabrics. Can't wait to see them. You're a gifted designer. Thanks for sharing all this cool stuff! Patty! Your sneak peek of your new fabric line is GORGEOUS!!! I want them all! You always amaze me girl! One talented supermom! Ooh--Mezzanine looks gorgeous!! I can't wait to see more! Awww, schucks, I didn't win. But I wasn't expecting to... there was stiff competition! Thanks for the Mezzanine sneak... can't wait to see the rest. 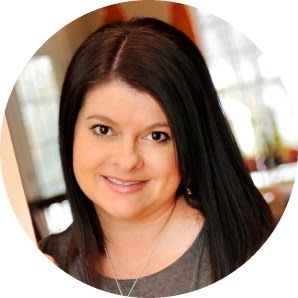 Here's a question for ya: is your blog header graphic part of Mezzanine? I hope so because it is GORGEOUS!! So glad to hear you are allowing home sewers to sell items made with your patterns! Oh, the sneak peeks are just killing me! LOL! I love blues and think they look so awesome on Liesl, so I can't wait. My fabric design request would be for a small, nonlinear print that works kind of like a neutral for pulling together the different prints. Thanks for the sneak peek, I'm excited to see more!! The colors look beautiful! I love the peek of your new fabric line! OH, you're such a true artist with such a unique style in everything you do. Looking forward to seeing more, more, more! I am so excited about the new fabric and patterns! I cannot wait! Your Mezzanine fabrics look yummy. I can't wait to see the entire collection. I am very excited about your patterns. I have used your fabrics in aprons and burp cloths for gifts and love them. I am especially looking forward to your Japanese-inspired pattern when it is available.